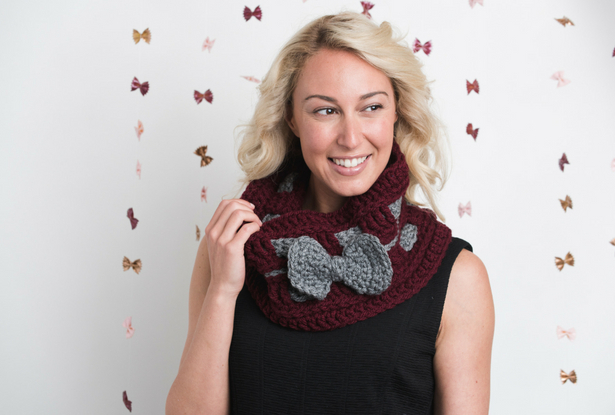 Bold and cozy, you’ll enjoy the construction of this playful cowl that’s perfect for the season. Best of all? 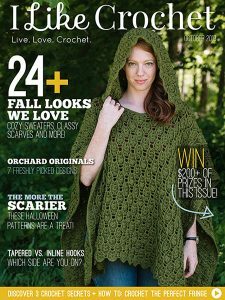 It will only take you a few hours to crochet, making it a great last-minute gift! Ch 3, yo, insert hook into ch furthest from hook, yo, pull up a lp, yo, pull through first lp on hook (this acts as the starting ch for this st). Yo, pull through 2 lps, yo, pull through last 2 lps on hook, as when making a dc st (this completes the first FDC). Yo, insert hook into V at bottom of previous st, yo, pull up a lp, then yo, pull through first lp on hook, yo, pull through 2 lps, yo, pull through last 2 lps on hook, as when making a dc st.
Leave a 6” tail at the beginning of the cowl and use this tail to sew closed the bottom of the first round. Rnd 2: Ch 1, hdc in each st around, join. Rnd 3: Sl st in blo of first st, ch 4 (counts as first tr of rnd), tr in 3rd loop of each st around, join. Rnd 5: Ch 1, hdc in 3rd loop of each st around, join. Rnd 6: Rep Rnd 3. Rnd 8: Ch 1, sc in 3rd loop of each st around, join. Rnd 9: Ch 3 (counts as first dc of rnd), dc in each st around, join. Row 1: With B, FDC 52. Fasten off leaving a 10” tail. Edging: Ch 1, sc evenly around Bow, working a ch 1 at each corner, join. Break yarn leaving a 10” tail. 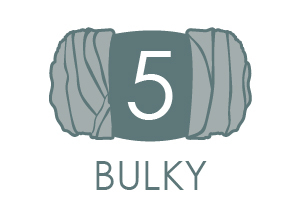 Step 1: Using B, work a row of surface crochet between Cowl Rnds 4 and 5, join. Fasten off. Step 2: Weave the Ribbons through Rnds 3 and 6, going between every 4 sts. Using the 10” tail, sew the ends of each Ribbon together and move the seam to the inside of the Cowl. Step 3: Sew the Bow Tie around the center of the Bow, using the 10” tail. 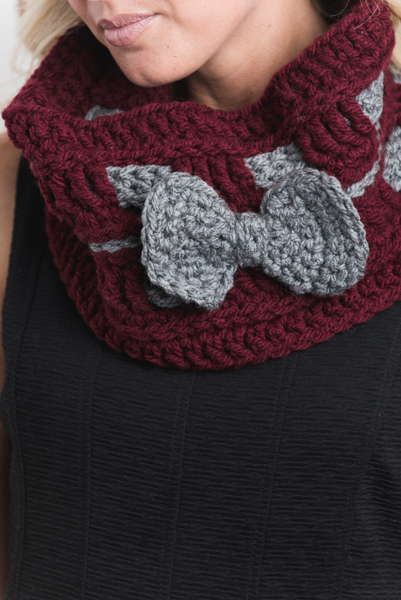 Then, use the same tail to sew the Bow to the surface crochet Rnd made in Step 1, as shown.